Book this hotel’s ‘Broadway Package’ and get two tickets to a choice of shows. Note: Must call or email the hotel directly to book this package. 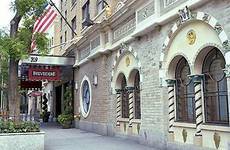 This deal was published on belvederehotelnyc.com with a starting price, which means that rates begin at the price listed but may be higher depending on your dates of travel. The description of the deal on this page is a summary of terms published by belvederehotelnyc.com Additional terms and conditions may apply. Taxes, fees and surcharges are not included unless explicitly stated otherwise.